Lukas Podolski back in the starting lineup for the first time since November 2014. Timo Werner makes his full international debut. 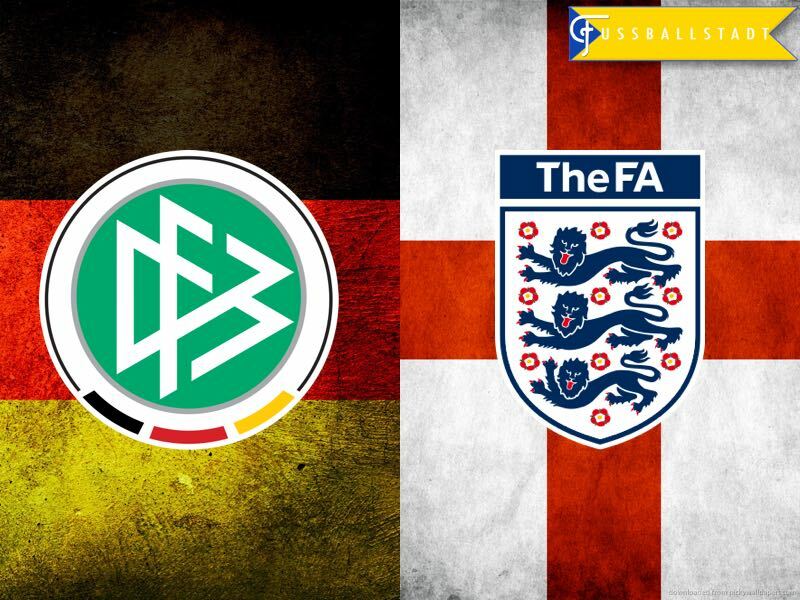 England haven’t won back-to-back internationals against Germany for over 50 years. Lukas Podolski’s final game for Die Mannschaft. After 130 games the World Cup winner retires from the international stage with a goal to remember. In a game which was supposed to celebrate one of Germany’s most influential players it was a shame that early proceedings were dominated by moronic chants from the visiting supporters. In a display, more suited to the dark days of football, England fans made plane gestures during the German National Anthem. They went on to add to voice to their gesticulations, and so began a repertoire of songs that included “10 German Bombers in the sky” and “have you ever seen the German’s win a war?”. What this had to do with football those inside the Signal Iduna Park will never know. When the football got underway it was England who started the brighter. Jamie Vardy rounded Ter Stegen and the Barcelona number one made a clumsy challenge – however, the referee was unconvinced, Vardy with a theatrical tumble didn’t help his cause and the officials let play continue. Adam Lallana then had a chance on 30 minutes but hit the post and when the ball fell to Dele Alli four minutes before half time Ter Stegen made himself as wide as the Südtribüne to deny a near certain goal. As the half time whistle blew it was England with the lion share of opportunities. The second half started brighter. Podolski unlucky not to get his dream goal on 53 min, then Ter Stegen just 60 seconds later was again on top form – another reactionary save, the fixture had finally come to life. Andre Schurrle, made a substitute appearance on home turf and instantly added a spark, shooting just wide after cutting in from the right wing. The watching Dortmund fans would have been pleased to see Julian Weigl leave the field after taking a knock early on, Emre Can was thrown into the frame to police an all too familiar England team. However, it was on the 69th minute that the dream everyone had come to see finally became a reality. 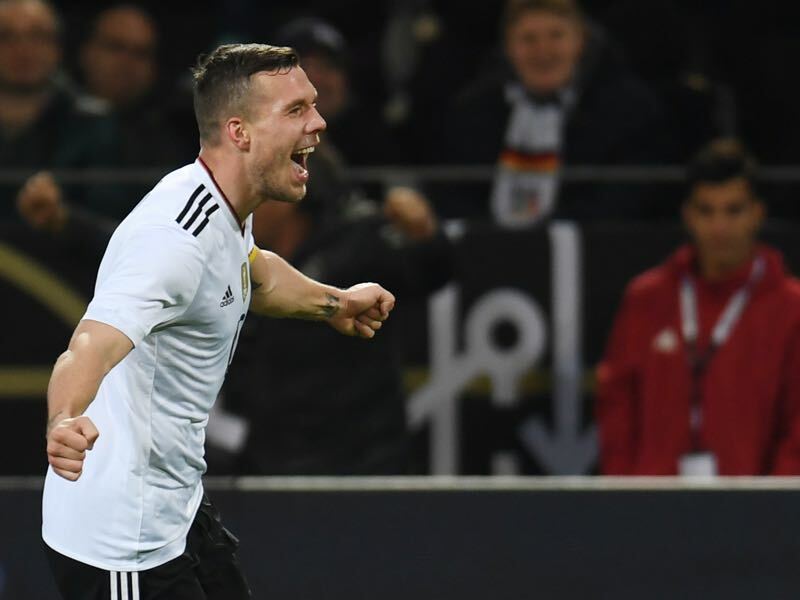 Podolski capped his 130th appearance with a goal to saviour, the striker rolling back the years to send the German supporters home with a smile on their faces. Lukas Podolski crowns a wonderful International career with a pile driver from 25 yards. The striker received the ball some distance out but only had one thing on his mind. Joe Hart in the England goal could only watch on as a wicked shot from Podolski’s left foot almost burst the net. 4474 days separated Lukas Podolski’s first and last goals for Germany. In a closely contested game Germany just edged the possession stats with 51%. Joachim Löw recored his third victory against an English side in five matches.